For those with chemical intolerances and other illnesses that result in serious health symptoms when exposed to printing inks and papers, it can be difficult to read books, magazines, personal mail, and other materials. Below you’ll find some solutions that people I know have found to be helpful. (Click on any of the accompanying photos to see a larger image.) Please feel free to add your own solution below in the comments section. Some printed materials can be “off-gassed” to make them more tolerable, depending on the severity of your sensitivity and the type of printing inks and other materials used. I have an “offgassing” room that I keep my books and magazines in. Each day, I turn a page on the magazine or book and let it offgas for 1-3 days (your time might vary). You can use clothespins to hold the pages open. It takes a while to offgas a book this way but if you want to be able to handle the book/magazine directly, it may be worth waiting for. One friend of mine has an outdoor shed set up for this purpose. Each night, he’ll put on his respirator mask and hang about 20 sheets of paper on a clothesline. He lets them sit for 24 hours, which is long enough for him to tolerate them, and removes them the next night. He does this for all his incoming mail and photocopies. Some people have baked their books in the oven but I don’t recommend it; it creates a toxic stink in your kitchen and can be a fire hazard. My boyfriend puts papers in sealable plastic bags, and sometimes will double or triple the bags to insure no ink fumes seep through. Then this goes into a vented reading box. Quite laborious but for those who have severe sensitivities, the end result can justify the effort. Some people have built their own or purchased reading boxes. My friend Susan made several affordable reading boxes out of stainless steel roasting pans, grill racks, pieces of glass custom cut to fit the tops of the pans, foil tape, and some crumpled up foil balls to position the grill. The only issue is that in order to turn the page of the book, you need to open the glass. You could use it outdoors if you cannot tolerate using it this way indoors. Others have made reading boxes out of wood, metal or plastic (with a glass top) that allow gloved hands to enter the box and use the eraser heads on the back of pencils to grasp and turn the pages of a book or magazine. Seems cumbersome but you get used to turning pages this way. A neighbor of mine shared this photo of his purchased computer box – a vented metal box with a sliding safety glass front (not shown in photo) made by the late Fred Nelson of the Safe Reading and Computer Box Company. It’s made of 20 gauge galvanized steel and measures 24” x 24” x 24”. 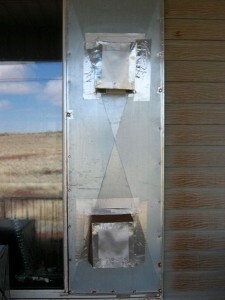 The vent fan is located at center back and a portion of the aluminum exhaust tube can be seen in the photo. 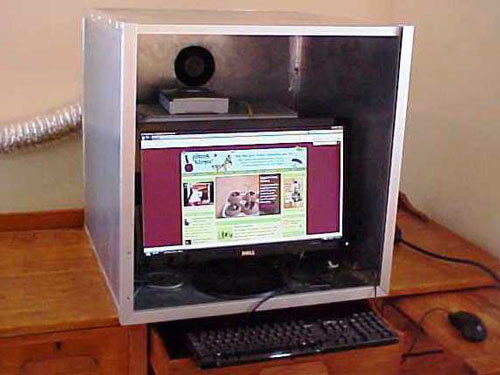 My boyfriend has the reading box version of this unit, made by Fred Nelson, vented with a fan to the outdoors (see photo, right, of vents on the exterior of his house). These are no longer being produced but you might find a used one for sale on occasion in the Chemical Injury Information Network’s newsletter Our Toxic Times, on eBay, or posted on one of the online MCS discussion groups. 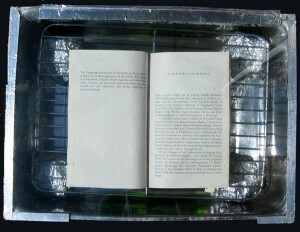 The article “How to Build a Reading Box” by G. L. Marsh published in the Human Ecology Action League (HEAL) newsletter The Human Ecologist (Issue #92, Winter 2001) details instructions for building a reading box with small metal handles that turn the pages. You can order a back issue by writing to HEAL, P. O. Box 509, Stockbridge, GA 30281 or by calling (770) 389-4519. A free national library program for blind and physically handicapped persons provides full‑length books and magazines in braille and recorded formats, as well as special playback machines. Books are sent to borrowers and returned to libraries by postage-free mail. Playback equipment is loaned free to readers for as long as they borrow recorded materials provided by NLS and its cooperating libraries. Any resident of the United States or American citizen living abroad who is unable to read or use regular print materials as a result of temporary or permanent visual or physical limitations may receive service. Eligibility can be certified by doctors of medicine; doctors of osteopathy; ophthalmologists; optometrists; registered nurses; therapists; and professional staff of hospitals, institutions, and public or private welfare agencies. In the absence of any of these, certification may be made by professional librarians or by any person whose competence under specific circumstances is acceptable to the Library of Congress. Readers may request free subscriptions to U.S. News and World Report, National Geographic, Consumer Reports, Good Housekeeping, Sports Illustrated for Kids, and many other popular magazines. There are also music materials available: musical scores, books about music, music appreciation cassettes (including interviews and opera lectures), and self‑instructional cassettes for voice, piano, guitar, harmonica, and other instruments. NLS is currently developing a means of delivering new digital technology that will replace cassettes. Efforts are underway to develop a digital talking book player that will be portable, allow readers to easily navigate through books, and provide a superior reading experience. Books on Tape, a division of Random House, offers unabridged audio recordings of books on CD only, for purchase. They discontinued their rental service in 2004. 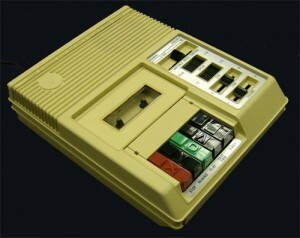 Audiobooks.com claims to have the world’s largest selection of new & used audiobooks on cassette and compact disc (CD). additional audiobook sources: do a Google search and you’ll find plenty! Amazon has come out with a Kindle book player that works well for some with environmental sensitivities who have severe issues with printed books. It is run on battery, making it more EMF tolerable (for some, not all!) than a standard electronic device. The unit can be offgassed for a while until tolerated. A wide variety of books can be purchased online from Amazon. 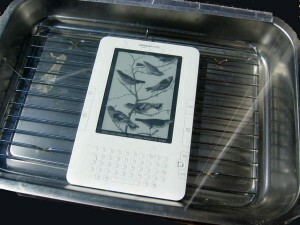 Once you offgas the Kindle unit itself, no more dealing with old moldy or fragranced books from the library or toxic new book fumes. Some people may never tolerate the chemical fumes of the Kindle, but they are able to use it in a reading box. 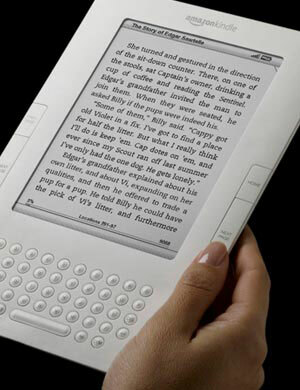 Project Gutenberg is the first producer of free electronic books (ebooks). Their online website allows you to download over 30,000 free ebooks to read on your PC, iPhone, Kindle, Sony Reader or other portable device. All of their books were previously published on paper by bona fide publishers and digitized by them with the help of thousands of volunteers. All of their ebooks can be easily downloaded using ePub, Mobipocket, HTML or simple text formats. No fee or registration is required, but donations are appreciated. Audible.com is a website that offers over 23,000 titles of digital audiobooks and entertainment for download purchase, including unabridged digital audiobooks, audio magazines, newspapers, and radio shows. You can download your audio in minutes and listen anywhere you go using your Apple® iPod”, iPod mini, Palm OS handheld, Creative® MuVo®, Pocket PC, computer, or other AudibleReady® device. You can even listen on CDs you burn yourself. Audible’s low prices let you save up to 80% off retail audio prices. I bought a Sony PRS-600 ereader. Metal frame instead of plastic. Started reading one day out of the box. Take notes, reads multiple formats PDF etc. No wi-fi. You need to connect to a computer to transfer files or get books. Pretty awesome. Cool – thanks for sharing this with us all!! I have a kobo reader. The nice thing about a kobo or a Sony reader is that they can take library books that are downloaded for free from the library. A kindle can’t take library books. I really enjoy audiobooks only because i hate reading while I am in a car because it makes me sick. Audiobooks make it better for me because I can keep my eyes on other things. 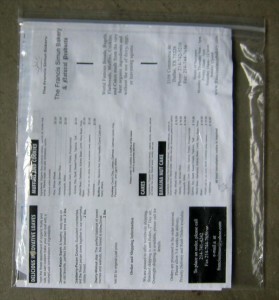 I’ve been using large cellophane bags for years now, mostly for reading magazines. It’s not as good as a reading box, because you do have to pull the mag out of the bag to turn the page, but much better than plastic bags, which eventually absorb the odors from the reading material. It’s also possible to read a book this way, although a bit more cumbersome, but at least I get to read my beloved books! I get the cello bags from safe sources like Greenline Paper or Green Earth Office Supply to lessen the likelihood of fragrance contamination. I’m planning on designing a reading box based on some of the ideas on this page. This website is a great resource! 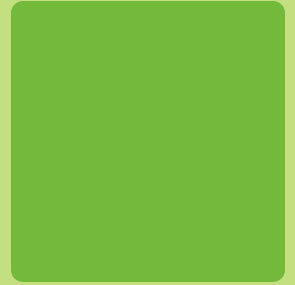 Hi, I work for a lady with Multiple Chemical Sensitivity, EMF and a few others. She desperately wants to find someone that either makes, sells or can design a reading box for her. She has become so sensitive that she is not able to read anymore which is the only thing that keeps her sane. No running appliances in her home and absolutely no electronics. Please help me, i have looked everywhere on the internet and reached out to many groups and have not found anything. Thanks. Sometimes reading boxes are listed on Craigslist. You can also post in MCS groups like the forum on Planet Thrive or the A Million Faces of Environmental Illness group on Facebook which has over 1,000 members. I suggest posting on those two sites so people know you are looking for a reading box. Or you can attempt to make one for her based on the info provided above using stainless steel roasting pans and glass. Looking for a reading box…for a friend that has MCS and EMF so it needs to be something a real book can go into. She can not use electronics or electricity at all. HELP and thank you!! !